Two of my favorite animals are sea turtles and elephants. It was a truly breathtaking experience to be part of a turtle release in Los Cabos last October. We released more than 300 baby sea turtles into the ocean, one by one. 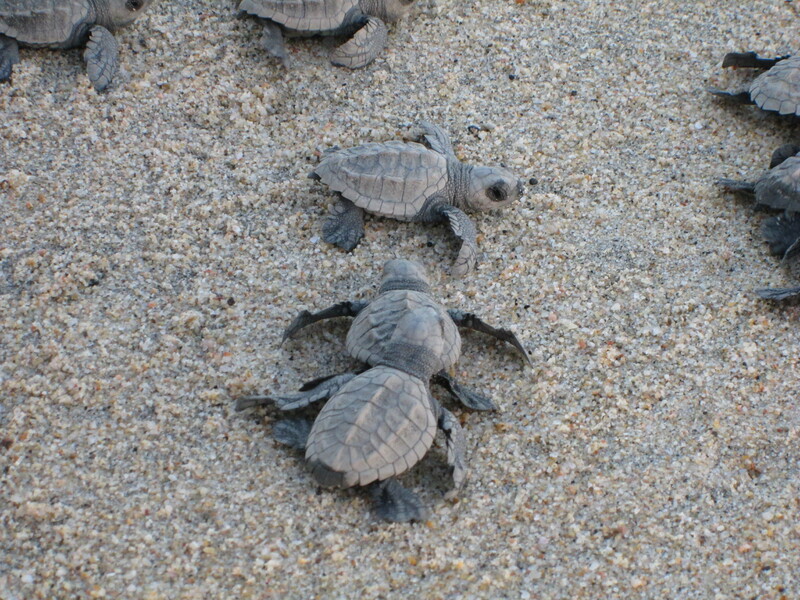 The turtles had hatched just hours before and were eager (but slow) to get into the water. It took us about two hours, while the sun was setting, to release the turtles into the ocean. What they don’t tell you before hand: Once the turtles make it to the ocean, it only takes one big wave to send them further back on the beach then where they started! Needless to say, it was a game of sending them forward and making sure they don’t get washed back on shore. The turtle release on a remote beach in Los Cabos. We released over 300 baby sea turtles while the sun was setting!